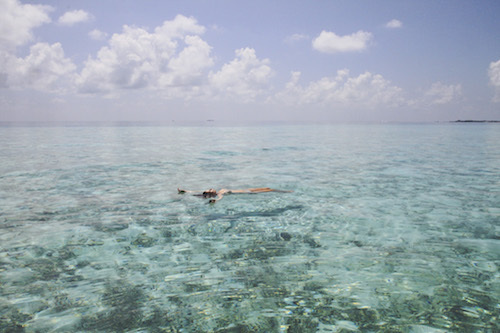 Let’s get lost along the coast. 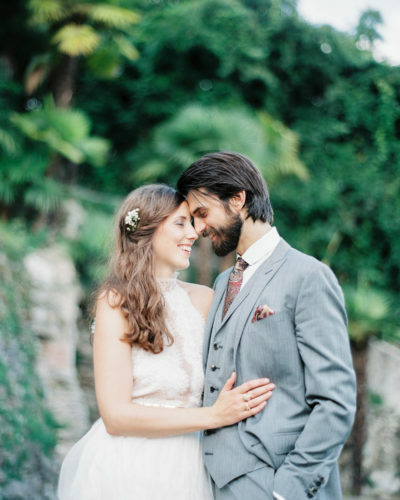 Tatjana and Matze met at the Oktoberfest in Munich – a true story, and a good one. Since then they’ve taken to exploring the world together whenever they can, inspiring each other with the work they do, and always laughing out loud when they realise what a good team they are. This is not your typical 24-hour guide, because we’re taking you on a journey from Portland to L.A., and it will take you at least 14 days to experience and appreciate all the amazing places that will cross your path – you could easily fill 24 hours in every town or city mentioned here. All the tips were recommended to us by locals. So here we are, on the road, out in the open, free, wild and eager to make the most of the next two weeks – let’s go! The city of Portland is in the special position of being on the rise, without most people having realised that yet. Everything is very cool and hip, but the city’s inhabitants are still down-to-earth and super friendly. We are just blown away by the people’s authentic warmness. Portland, please keep your amazing attitude! Due to our being jet-lagged we are wide awake every morning around 6 AM, but that only means we have more of the day. 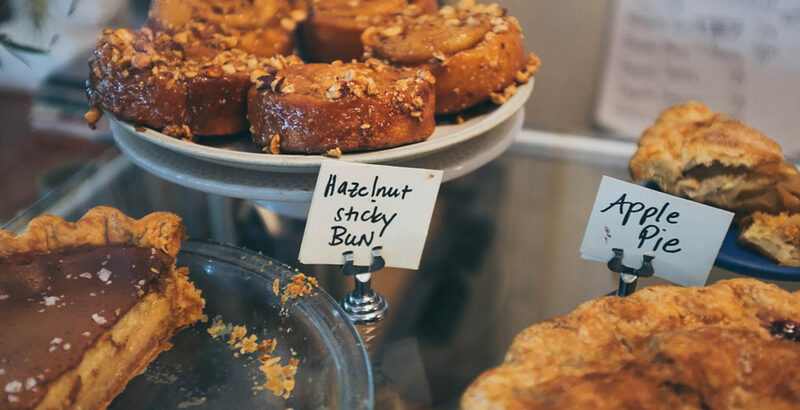 We head to Locale for our first cup of coffee to go, then we slowly stroll down the street until we reach Sweedeedee where we’re having a sumptuous and colourful breakfast. No matter what you go for, be it the heart attack version with bacon and maple syrup or the fitness booster with granola and orange juice, it is all delicious! 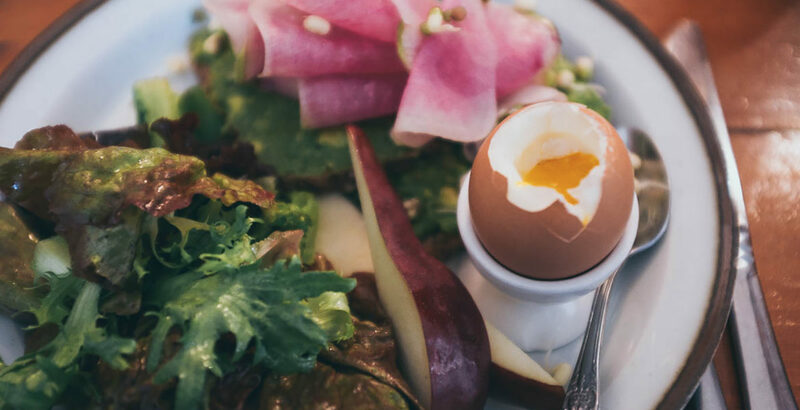 Another sweet breakfast spot is the Roman Candle, where you have to go for the avocado toast, and afterwards a second coffee at Dapper & Wise, a coffee place which is definitely inspired by Scandinavian design and friendliness. Portland is a great place to go shopping and so we head downtown. 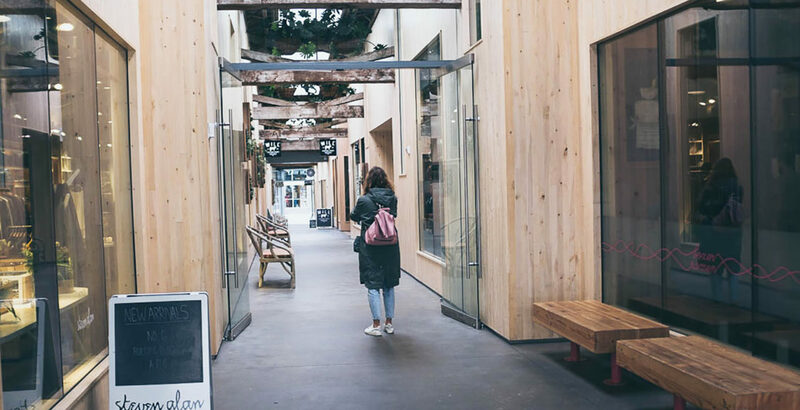 After grabbing ourselves some cold pressed juice at Kure juice bar, we make our way to the Union Way which is a very stylish little shopping alley with cool menswear and leather goods stores. Tanner Goods in Northeast Portland on Albina Street is a rad store for stylish men, too. 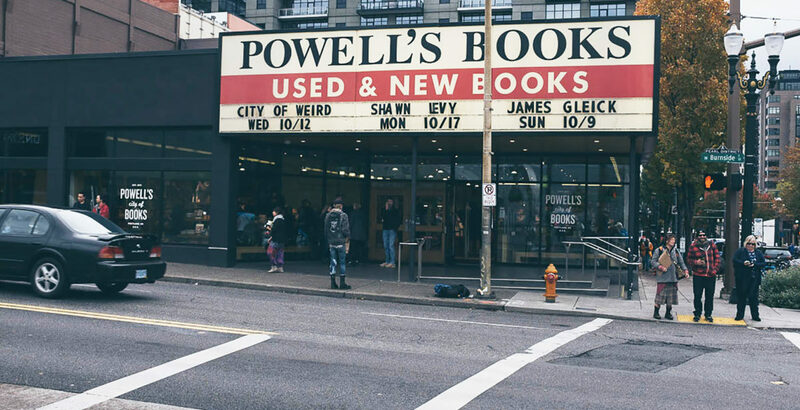 Just across the street from Union Way is Powell’s Books, the world’s largest bookstore. This is true heaven for bookworms. We go in and lose ourselves, browsing through book after book, without realising a few hours have gone by. It’s amazing! When we get out it’s already dark and time for dinner. We drive straight to Radar, which is located in the Northeast and is a fantastic restaurant to round off a perfect day in Portland. We sit at the bar, watch the chefs prepare our main courses and enjoy some oysters as a starter (we’ve earned them). The start of our US West Coast road trip could not have been better and after a few exciting days in Oregon’s economic centre, we hop into the rental car and head South. California calling, baby! Grants Pass is the last sleepy little town in Oregon before we enter California. We stop for coffee at Rogue Roaster to help us keep our eyes open and on the road after a long day of driving. 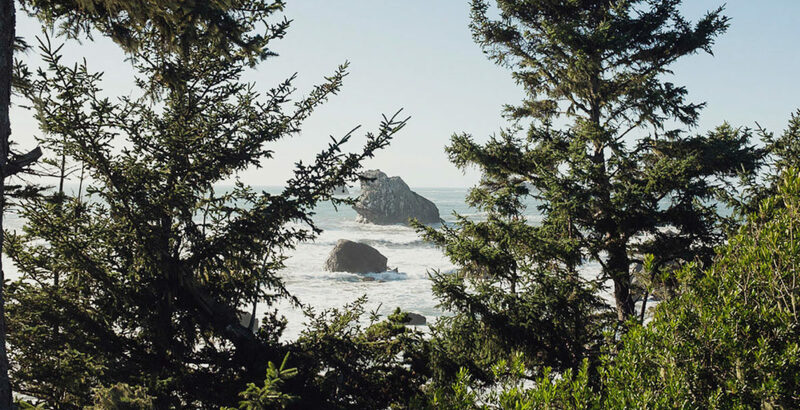 From Grants Pass to Crescent City, our first stop in the sunny state, it takes us about one hour of driving through lush forest, until we suddenly find ourselves at the coast. We take a short break at the viewpoint Point St. George, where we’re amazed by the wild beauty of the Pacific Ocean at our feet. Listening to our road trip playlist, we proceed on the Route 101, the Redwood Highway, which meanders along the coast and darts between breathtakingly beautiful redwood trees. Once in a while we stop to marvel at these giants. So impressive! For one night we stay at the cutest Airbnb, in the charming little coastal town of Trinidad, and are back on the road, more specifically on The Avenue of the Giants, the next morning. 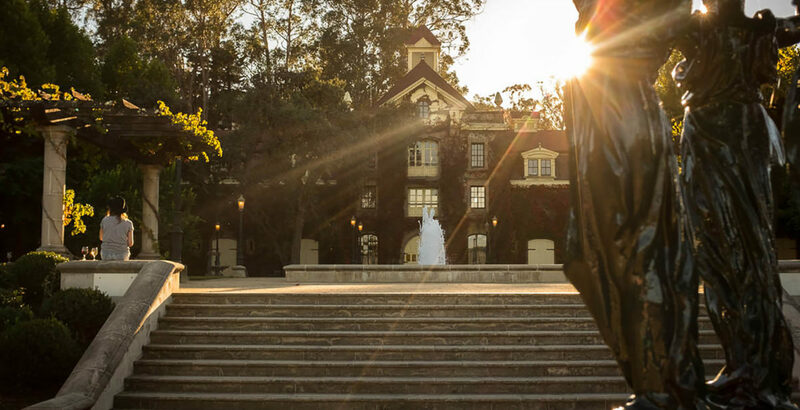 Next stop: Calistoga, Napa Valley. The so-called wine country is definitely out of the ordinary and one of the wealthiest areas in the USA. It kind of reminds us of Tuscany in Italy. There are vineyards everywhere, like everywhere! For two days we stay with a friend who is establishing his own wine brand, the fabulous Lola wines, and who shows and explains this special valley in California to us. 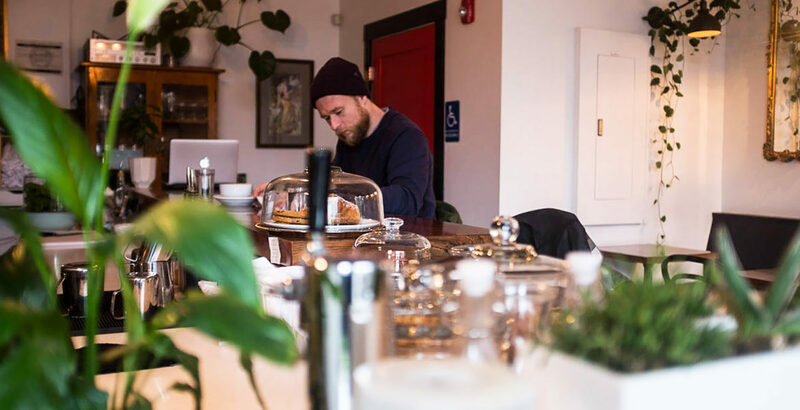 We have breakfast at Café Sarafornia and coffee at Calistoga Roastery, then go shopping at the Men’s Supply Store (sounds weird, but this is an awesome store for guys and for whatever adventures they have in mind). 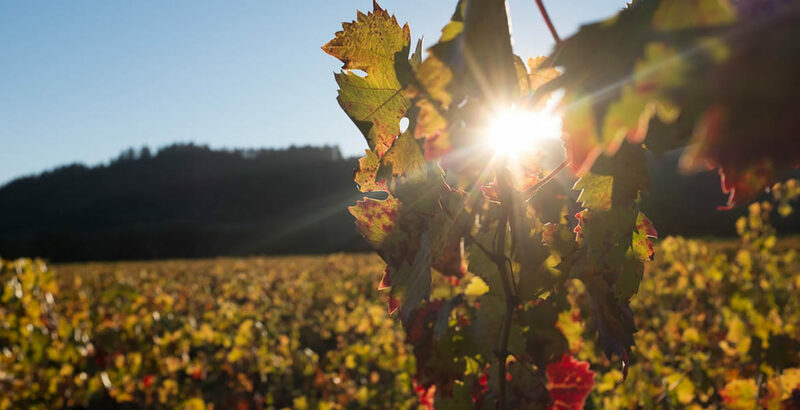 The highlights of our Calistoga stay are a fancy dinner at Johnny’s Restaurant and Bar, the visit to the Inglenook wine estate and the hike of the Oat Hill Mine Trail. Chilling in the countryside and drinking wine all day long is fantastic, but by now we’re hungry for big city lights again. Off to San Francisco! As we’re staying in the Mission district, we have a hearty breakfast at Wise Sons in the morning, enjoying one of their famous pastrami sandwiches. In case you feel like a bit of a healthier start to the day, head to Yoga to the People or to The Battery. The latter is actually a members club, but if you book book a room there you can enjoy all the privileges members have. Or you can just pop in and join a yoga class at their beautiful gym. 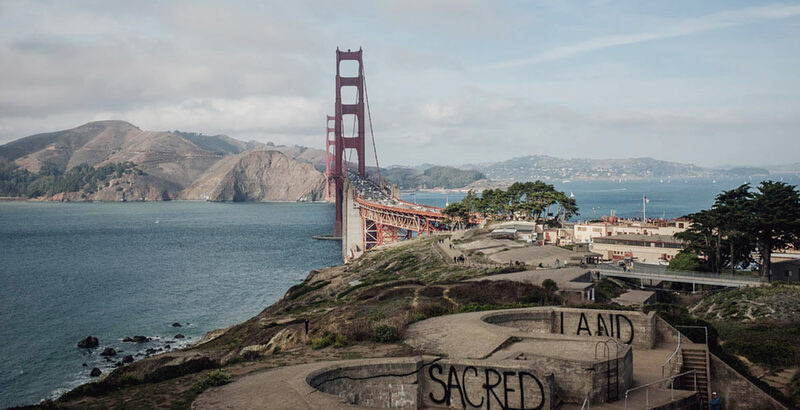 A must-do in San Francisco (maybe a little touristy, but oh well) is taking a bike ride over the Golden Gate Bridge and going back to town by ferry, passing the island of Alcatraz. Rent your bikes at City Rides Rentals on Linden Street – they do an awesome job – and when you get back, you can reward yourself with a cool beer at the vibey bar Brass Tacks just across the street. When we can feel our stomachs rumbling we make our way to Two Sisters Bar and Books, which is the tiniest little bar and the best place to indulge in delicious red wine (order the Zinfandel!) and cheese. Saturday nights are well spent at Amnesia, a pretty random-looking bar from the outside, but don’t let that put you off: they host great live bands which make up for the looks a hundred times over. Just across the street you will find Loló which is hands down the best Mexican place we have ever been to. We just love the atmosphere, the interior design and most of all the lovingly prepared food there! Between San Francisco and Big Sur we spend two nights at the beautiful Bernardus Lodge, in the charming Carmel Valley. Read all about it here. 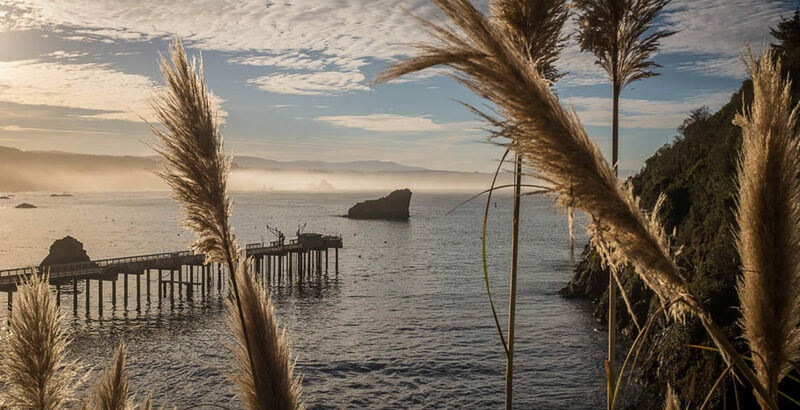 Cruising along the coast through Big Sur leaves us awestruck in the face of the incredible nature scenery. This is something you have to see with your own eyes, or else you won’t believe it actually exists. Take a break from driving and just enjoy the view at Nepenthe. It is a touristy place but has the best view and some pretty decent snacks, too. The last night before we enter Los Angeles, the last stop on our trip, we stay at El Capitan Canyon near Santa Barbara. Here you can book pretty-looking tents and rustic cabins, which are actually a perfect place to stay for a couple of nights with a bunch of friends and have a barbecue every evening at your private fireplace. We’ll be doing this next time for sure! We’re reaching the last leg of this incredible journey and we’re celebrating the beginning of the end with a delicious, homemade muffin and a vitalising juice at the Daily Grind in Santa Barbara. Before we enter the city, Matze jumps into the water with his board at the County Line Beach, a popular surf spot in Malibu. The Californian coast is all about surfing anyways, it’s a lifestyle here. Especially Malibu is known for its lineup of one fine spot after the other. Nearby you’ll find the beautiful slightly more hidden Kai Secret Beach. Our last days in L.A. are – like almost every other day on our journey – dedicated to food and drink. 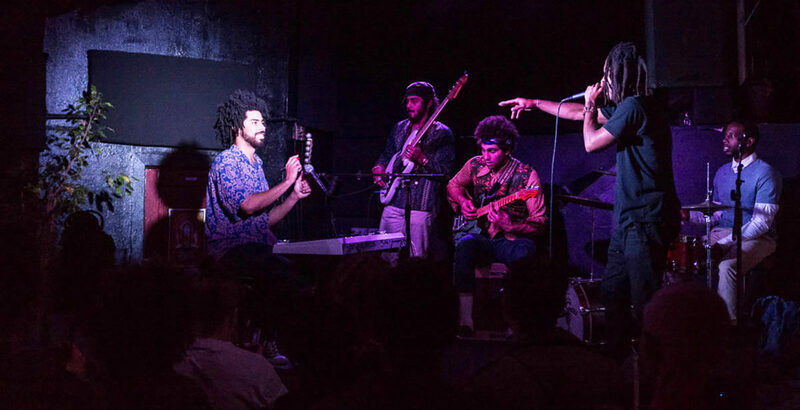 Look out for the upcoming L.A travel guide by the band The Great Escape, coming in January. These guys will awaken your wanderlust for this exciting city, most assuredly. We wrap up our trip sitting at Toms or Intelligentsia in Venice. It’s almost time to go home now, but we can safely say: this has been a lifetime experience filled with countless moments of joy. There is so much the US West Coast has to offer, go and check it out for yourself! A small and welcoming café where the friendly staff serve great avocado toast and almond milk cappuccino. A wonderful breakfast place where it’s worth waiting a little while for a table. Everything that comes out of the kitchen looks delicious, especially the ‘bakers breakfast’! Sit down at the massive community table where you can chat with others, read a book and have a coffee or just watch the guys putter around in the open kitchen and bakery. Definitely stop by this coffee place, even if it’s only to meet the awesome people working here. 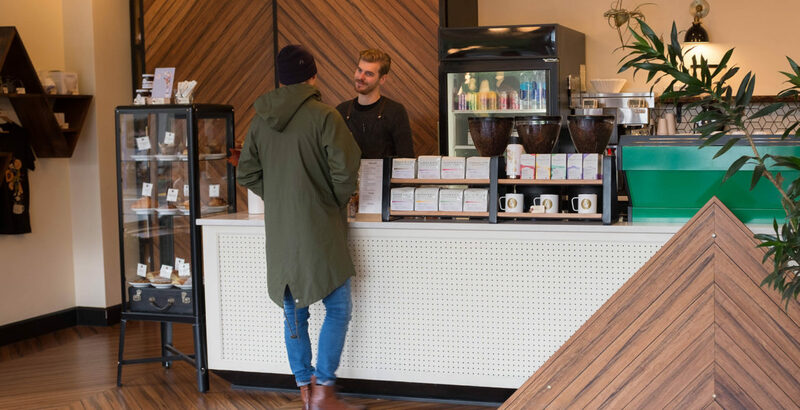 The café’s design is a very stylish mix of Scandinavian coolness and Portlandian originality. Need a vitamin boost? Get yourself a delicious pressed juice and other healthy stuff at the Kure juice bar. This small shopping alley only has a few stores, which are all fantastic though, especially for menswear and leather goods. This store has everything the fashionable man longs for. Good quality, hip styles. Moreover, they sell the super cool brand Pendleton which we love! They literally carry every genre of literature imaginable. One can spend hours in here, just browsing through the book shelves. It’s magical! Ask for a seat at the bar so you can watch the chefs prepare all the fantastic delicacies on the menu. Not only the food but also the service is excellent! Before you continue on your journey, grab an organic micro-roasted coffee at this charming place. This is what you were waiting for: endless vistas of nothing but the Pacific Ocean and the Lost Coast of California. Feel the sun on your face, the wind in your hair and the joy of being alive! Trinidad is a cute, little coastal town and perfect for discovering the surrounding incredibly beautiful redwood forests. Try to avoid the highway and drive along the Avenue of the Giants. One feels curiously at peace, surrounded by the ancient, gargantuan redwoods. Sit outside and watch the joyous hustle and bustle of this townlet while enjoying a nice, filling breakfast. Before you carry on exploring Napa Valley and its thousand vineyards, have some coffee across the street from Café Sarafornia. 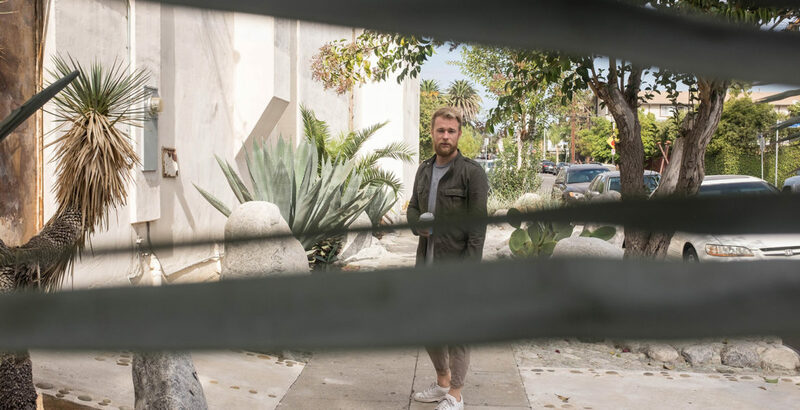 At first sight this store may look a bit dark and stuffy, but take a closer look and you will find a great assortment of high-quality menswear and accessories. Guys, this is your chance to get the overall adventurer look (you can even buy a canoe)! Sit by the bar and watch the skilled staff prepare delicious cheese, charcuterie and oysters. 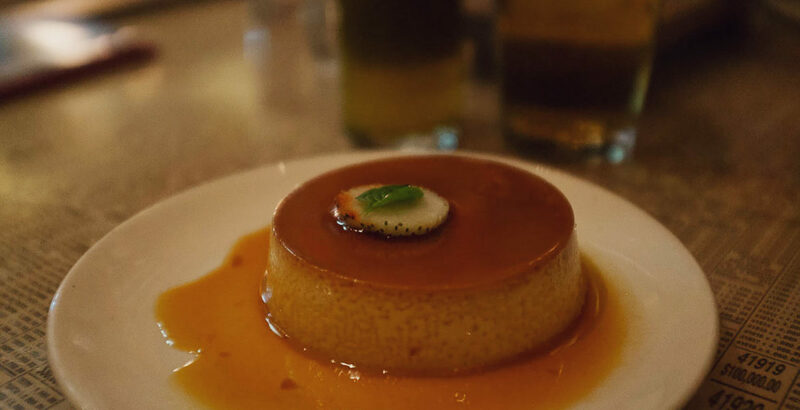 Fancy food in a laid-back atmosphere. This wine estate is one of the most beautiful ones in the entire area. Get there early (they close at 5 PM), walk around the magnificent property and have a glass of wine! Up for a little hike? The Oat Hill Mine Trail is perfect – you can go for a quick workout or keep going forever. Your reward is a stunning view over Calistoga and the neighbouring areas. This place is all you could want when you wake up a little bit hungover. They are famous for their pastrami dishes but everything else is great as well! The studio is all the way up on the 5th floor with an amazing view over the San Francisco skyline. You can decide how much you pay for the lesson, mats are $2. Even though it can happen to be a big group of people, the teachers do a great job of still leading a calm, effective and beautiful yoga lesson. The name says it all! The fun of taking a yoga class here is that this member club keeps everything very exclusive, and so not many people know the classes are open to the public. So you probably won’t have more than five people in your class. Besides that, the location of The Battery is cool as hell – it used to be an old candy factory. You can also check in into their wonderful hotel rooms and enjoy all privileges members have! Those guys are super friendly and will assist you well with choosing the best bike tour for you in San Francisco. Definitely go over the Golden Gate Bridge! 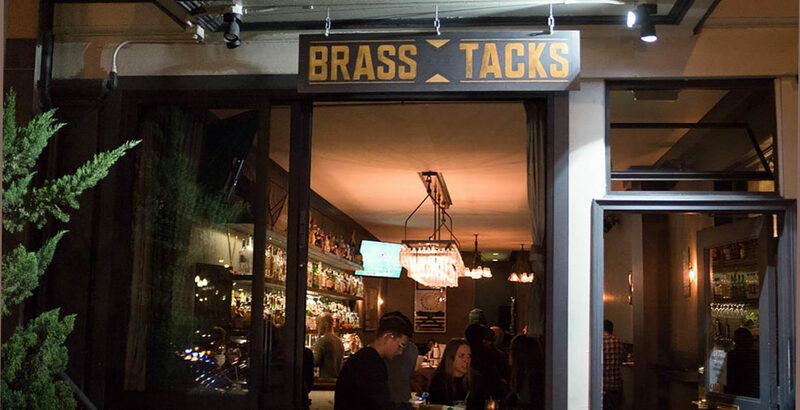 After you finished your bike ride, you deserve a drink at Brass Tacks, across the street. Very cool bar, nice staff and good drinks. This superb little bar served us the best red wine (Zinfandel) we’ve ever had, which, along with a few delicious nibbles rounded off a long day in San Francisco perfectly. When the weather is bad you can kill a few hours in the afternoon with a book from under the bar and a hot drink (they open at 4 PM). An amazing live music venue – musicians performing on stage, cool beer on tap and an easy-going vibe. Big shout out to this awesome Mexican restaurant and its exceptional food, interior and atmosphere! Take a break at this beautiful hideout in the Carmel Valley. This hotel has excellent cuisine in its ‘Lucia Restaurant’, and the Bernardus Spa will pamper you to the core. Big Sur is an only lightly populated stretch of almost untouched land on the coast of California. The drive along the cliff is breathtaking – nature at its best! Stop here for a quick bite, but most of all for the dazzling view from the terrace: the waves of the dark blue Pacific cascading against the emerald green coast. Go ‘glamping’ (glamour + camping) and book yourself a spacious and well-equipped tent at El Capitan Canyon! 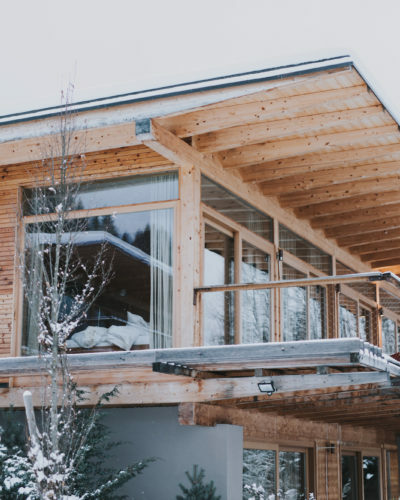 They also offer more spacious rustic cabins with private fireplaces in front of each porch. 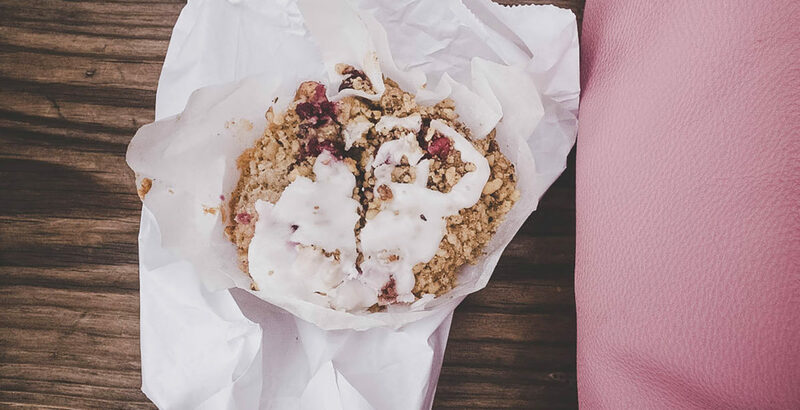 The Daily Grind is a true local’s spot, offering the most delicious homemade muffins and freshly squeezed juices: Try the cranberry lemon muffin, it’s quite simply heaven! 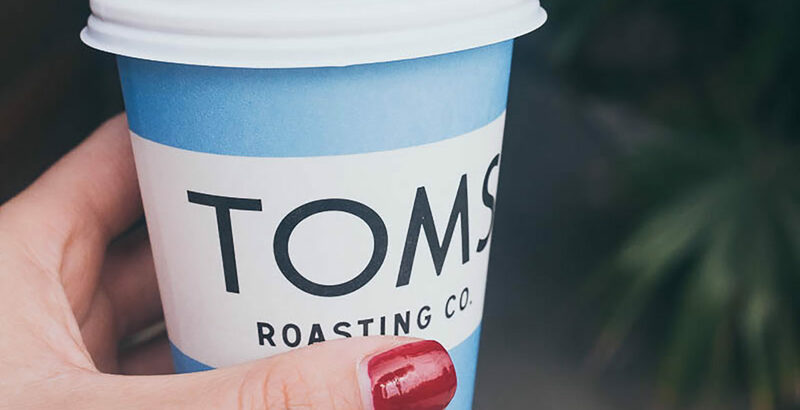 At Toms it’s not just about having coffee in a charming backyard, it’s also about giving back. With every purchase of one of their super cool accessories (shoes, sunglasses and more) you help people in need! The shop assistants are always happy to tell you all their concept and answer any questions. Very stylish high-end coffee shop rocking a cool architecture and interior design. Especially the little alley in front is perfect for sitting down and having a chat over coffee. When you’re through with surfing, have a bite at Neptune’s Net just across the street. This beautiful beach is ideal for hanging out in the sun after a dip in the water. Enjoy the Californian way of life to the fullest! 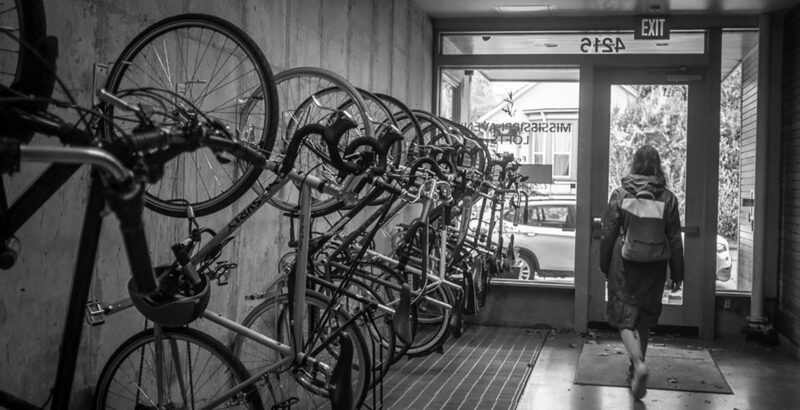 When in San Francisco, get your bike at City Rides Rentals. These guys are super helpful! The Inglenook Vineyard in Napa Valley is the perfect place to enjoy a glass of wine in the most beautiful surroundings. You’re a fan of live music? 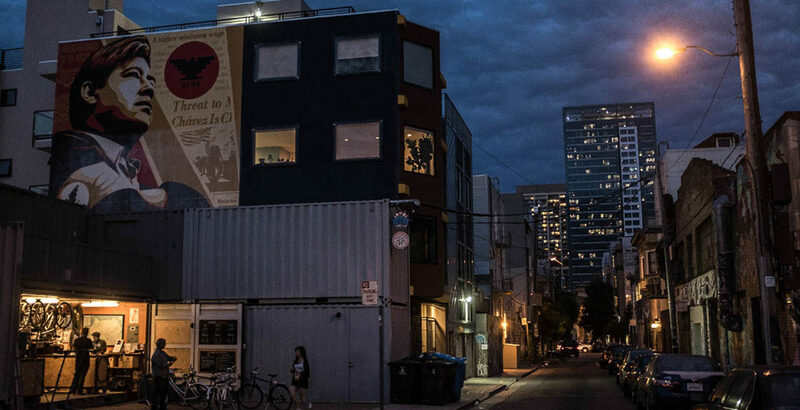 Then check out the bar Amnesia in San Francisco’s The Mission district. Portland, we’re coming at you! Napa Valley is also called Wine Country. Go for a sunrise walk on the ‘Trinidad Head’ when near this cute Californian coastal town. The dessert crowning our feast at the San Francisco restaurant Loló was just the cherry on top of a true taste adventure. This is the best Mexican restaurant ever! 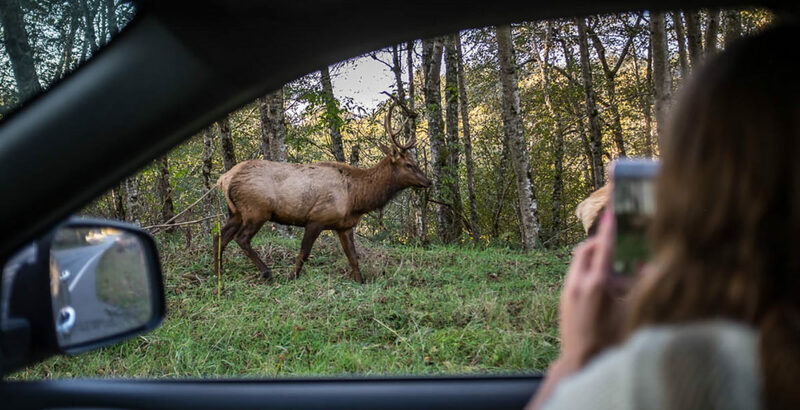 Thanks for posing, dear elk! 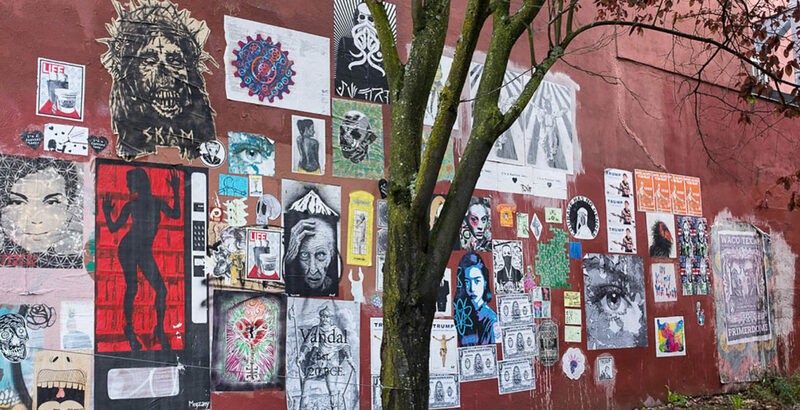 Portland is colourful, artsy and exciting – a city well worth visiting. Have an avocado toast at the Roman Candle in Portland and take a seat at the huge communal table. Enjoy some delicious breakfast at Sweedeedee. This is the world’s largest bookstore a.k.a. heaven for booklovers. 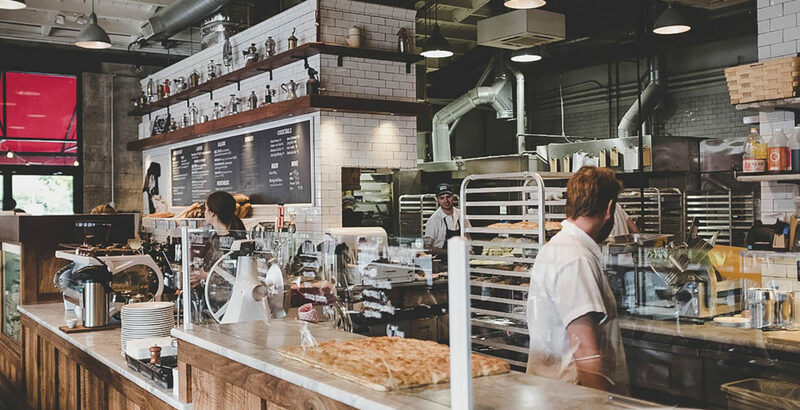 Santa Barbara has a lot to offer, like the homemade muffins from the Daily Grind. Yum. The Union is a cool, unique shopping alley in downtown Portland. When on a road trip, take your time, and make sure to check out as many coffee places as you can! 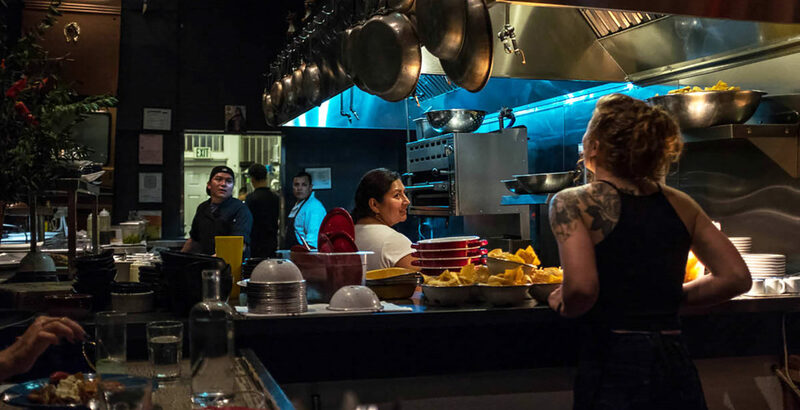 We love Loló – this Mexican restaurant is definitely a San Francisco highlight! Have an early morning coffee at Locale in Portland before you start discovering this amazing city. Toms in Venice is a nice place for having coffee, getting some work done in the backyard and doing good by purchasing some stylish sunglasses or shoes. The US West Coast will enthral you with its breathtaking nature views. 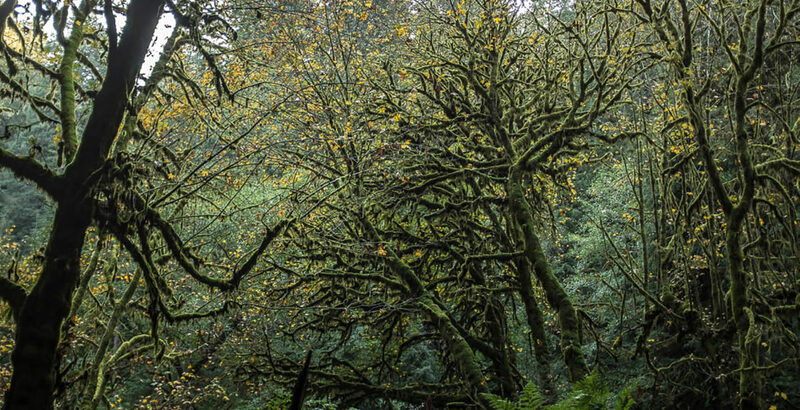 The redwood forests of the coast will bewitch you with their magical atmosphere and insurmountable beauty. Go get lost! San Francisco’s Hayes Valley offers a lot of nice restaurants, cafés and bars. Check out this one especially, Brass Tacks! The Golden Gate Bridge, a cultural icon of the West Coast. Try crossing it by foot or by bike! 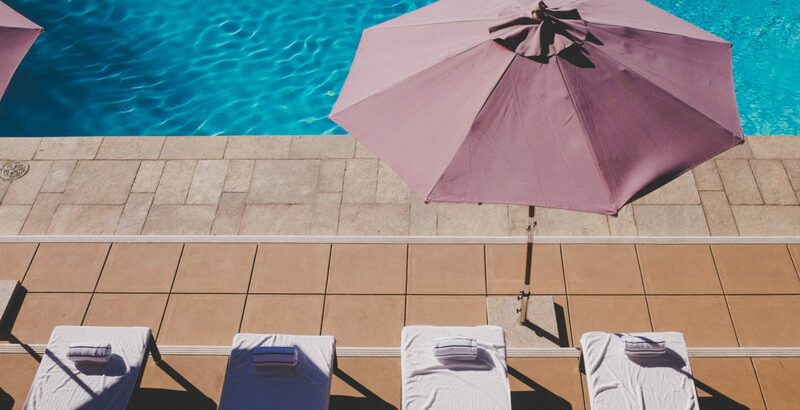 Treat your body and soul to a few days at the Bernardus Lodge in Carmel Valley. Heading down to Kai Secret Beach in Malibu. California is all about surfing, all day every day. Dapper & Wise knows how to make customers happy. Their coffee is amazing and the staff super friendly. Going on a road trip along the US West Coast is an exceptional experience, and one you aren’t likely to ever forget. You can say what you want about this country, but owing to its nature and the sheer variety has to offer, you will want for nothing. If you stick to the coastal highway, you will pass through the most scenic landscapes and the most exciting cities imaginable. 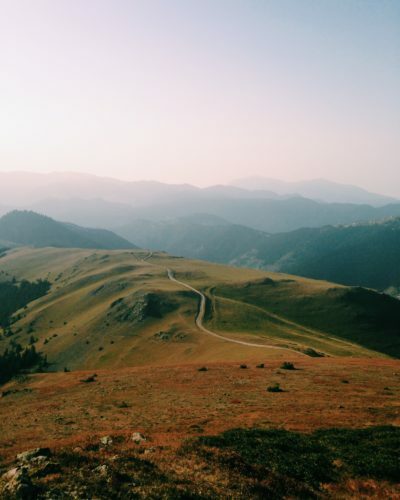 But you should also allow yourself to get lost and explore places that were not on the agenda. This route will surprise and amaze you! Going from Portland to Los Angeles – one hell of a ride! Everywhere we went was recommended to us by locals. We only experienced the crème de la crème! Getting up before sunrise means you have more time to explore. Two Sisters Bar and Books was one of our San Francisco highlights – the red wine was simply delicious. The flora along the US West Coast is almost unreal-looking sometimes. Tatjana: I was born in a little town surrounded by mountains and with a lake at its centre – quite picturesque. But I’ve been drawn to the sea from a young age, when I first smelled the salty breeze and felt the sand beneath my feet. On the other hand, there is also this passionate love for big cities and for exploring every little corner of concrete jungles. To process all the experiences and impressions of life, I write them all down, and I guess I could call myself lucky that I’ve the chance to turn this into a profession as well. Matze: I have Franconian roots and I’m an international marketing manager with great passion for sports, music and photography. Tatjana: The stretch of time after waking up slowly (without an alarm clock, of course), still drowsy and half-asleep, when you realise how cosy your bed feels, when you catch daylight through the curtains and are suddenly hit by the excitement of a new day and all the adventures it promises to hold. 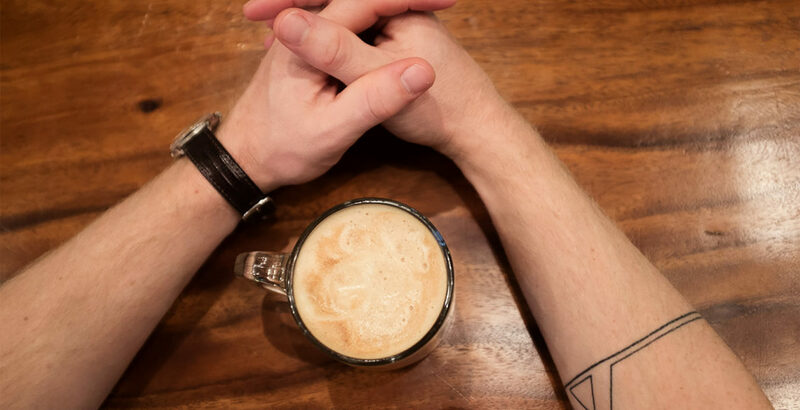 Matze: Sipping a good coffee early in the morning – ideally after a session of running, surfing, or yoga. Tatjana: Passionate people, trees, intense colours, conversations with soulmates, bike rides, running, love and anger, envisioning my future life, old but highly energetic people, travelling. Matze: People who have a different approach to things, but still with good karma. The greatness of nature, especially the ocean and the mountains. Matze on Tatjana: she is very open-minded, super communicative and always very snoopy. She loves to explore the world and have casual chats with its taxi drivers. She has a good sense of humour. She prefers letters over numbers and loves good food. She is very reliable. Tatjana on Matze: he is very communicative and active but he can also be super lazy and switch into panda mode, more specifically a grumpy panda in the morning. He is an authentic, determined and emotional character. He loves to dawdle, which drives me crazy. But most importantly, Matze is 100% reliable whenever you need him. Tatjana: Writing, travelling, love, nature, curiosity. Matze: Cosmopolitan, generous, casual, sporty, spiritual. Tatjana: Lots of books, currently ‘The Heart Goes Last’. My favourite magazine right now is 'Stern Crime’ – I have not missed one edition yet. Thrilling and very well done! Matze: There is no common theme. More books than magazines, I guess. I prefer paper over digital for sure. At the moment, I’m reading ‘Barbarian Days’ by William Finnegan. Tatjana: All the films of Alejandro González Iñárritu and currently a lot of Netflix series really blow my mind. ‘Love’ and ‘Making a Murderer’ are two I can highly recommend! Matze: Everything which is not Hollywood blockbuster. I love the series ‘Tatort’, although only one in 100 is really good, but watching it is this holy-Sunday-ritual-thing. My You-have-to-watch-this tip: ‘Searchin‘ for Sugarman’. Tatjana: Michelle Obama or my mum. Matze: My dad, who suffers from a fear of flying (which I hope to rid him of). Tatjana: Cape Town, Paris, South Tyrol, Portland, New York, the Algarve. Matze: Any place where you don‘t need shoes, can surf without a wetsuit, meet friendly locals and get a coconut at the next street corner. Tatjana: (#1) If you don’t love yourself, you can’t love anyone else. So you better make sure to love yourself by (#2) making the most out of your life every day and not regretting a single thing, because (#3) everything happens for a reason. Matze: This is work in progress but it will be deep. Matze: I am flexible but mostly weekender. Tatjana: In almost every city I‘m new to I go on a ‘Big Bus Tour’ and am the perfect tourist. I wish I could wink. If I were an animal I’d be a cat or a bird, although my spirit animal is probably a panda. I can be very stubborn. I have a great memory when it comes to gossip. Tatjana: the liberation of your soul. Matze: luxury, so is the time to do it. Matze: limited time, you better do things you love.